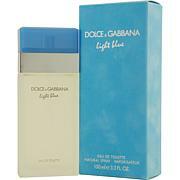 D & G Light Blue Eau De Toilette Spray - 0.8 oz. 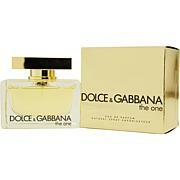 Dolce & Gabbana The One Eau De Parfum Spray - 2.5 oz. 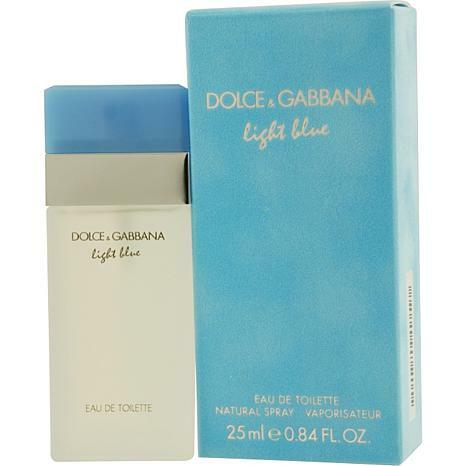 Launched by the design house of Dolce & Gabbana in 2001, D & G Light Blue EDT Spray 0.84 oz is a womens fragrance that possesses a blend of Apple, Cedar, Bellflower, Sicilian lemon, White rose D & G Light Blue is recommended for casual use. This item may not ship to Alaska, Guam, Hawaii, Puerto Rico, or the Virgin Islands using a ground shipping method. Please select an air method when ordering this item for those locations. All Orders must also have a physical address and not a P.O. Box. Alcohol Denat /sd Alcohot 39-c, Parfum/fragrance, Aqua/water, Limonene, Benzophenol, Cinnamal. Great! No other comment is necessary! I bought this produce for my mother & I am going to order one for myself!! 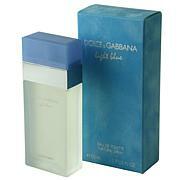 This is one of my favor scent I have been wearing this scent for about 5 year now . it Last a long time just a little bit will last a long time. This is my favorite fragrance. I have allergies, but this is the one scent I can wear with out a reaction or headache. Spray it lightly in the morning, it will last until about 8-9 that night. Wonderful light scent. So not worth $60. Bottle was too small. Champs Elysees by Guerlain-EDT Spray for Women 1.7 oz. Champs Elysees by Guerlain - Eau de Parfum Spray for Women 2.5 oz. Launched by the design house of Guerlain in 1996, Champs Elysees is an alluring fragrance that possesses a blend of floral rose, black currant, mimosa leaves, hibiscus and almond wood.